Selling something to someone, is the pure act of commerce, which makes the economy of the world function. Selling is the economic juice, which rotates and stimulates finance and business. This once you sell goods or services to your customers, or you’re presenting a brilliant marketing idea to the masses or to your boss. Everything that you do, involves steps of the selling process. Any business for it to be sustainable, to survive, involves the transfer of goods or ideas in exchange for revenue, where a portion of it is profit. So whether you’re responsible for selling something to your clients, presenting your brilliant startup idea to investors, presenting the idea of purchasing a new boat to your spouse, knowing how to properly sell, to get your point across is the key. Most people however, have absolutely no idea how to sell. 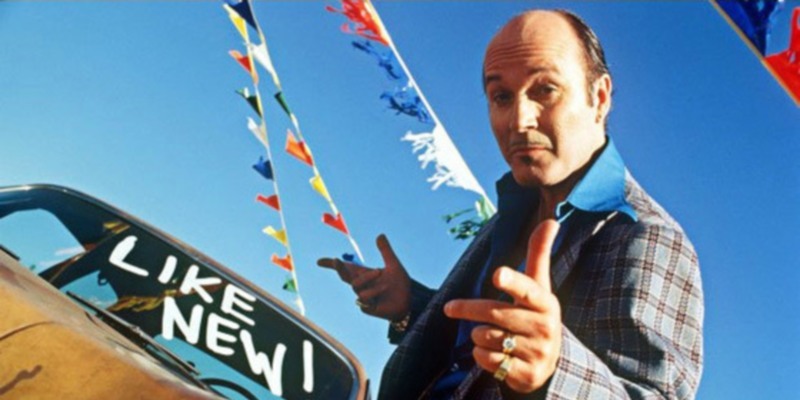 Selling also generally isn’t considered a highly regarded occupation, as what immediately comes to mind is that tacky car salesman with the plaid sports coat. People just don’t want to be deceived. But the selling process is the only method where the rubber hits the road, where the transaction of goods for money occurs. This begins with getting them on your side first, by they agreeing with your idea, then negotiating the best price and closing the deal. If you are new or are forced to sell, there are a few established concepts which you need to implement, and once they’re understood and followed, it should then become a process where you can sell anything to almost anyone. The idea is to learn the process, practice the steps, and then tailor them into your own personality, your situation, and that’s the ultimate goal you need to achieve. Understand what makes your customer tick, or whomever you are selling or presenting to. Know what their roles are, what their objectives may be, what’s in it for them. Realize what if anything, is their primal motivation. It’s also important that you know your direct competition, what you’re up against, and know what their strengths and weaknesses are. Know if they present any potential hurdles or challenges, that your client needs to overcome. What’s also important, is product knowledge. Know all of the details stone cold. Regardless of what it may be, make sure that you know your product inside out, including all of the statistics. Make it a priority to know more about your product than anyone else, especially more than who your selling to. There’s nothing more embarrassing and time consuming, than getting beat up by your customer or your boss. This because you didn’t properly do your homework, while wasting their time. Not being prepared is a certain kiss of death. So once you’re satisfied that you did your homework, and feel that you’ve prepared yourself and are passionate and eager to do your presentation, then take a step back and breath. Take a step back since you may risk coming across poorly, such as being too eager, aggressive, or too timid. The world doesn’t need, want, or appreciate to be annoyed. Doing so makes it appear like it’s all about you, and it never is. It’s all about the person or the group of people who are sitting across from you. It’s all about filling their needs and goals. So stop and ask yourself how you can help them. Begin by asking them what their concerns are. Listen intently, while asking leading questions and then observing how they respond. Watch their body language. Listen, until you know the complete picture. Never badger them since you should be listening more, converse, go back and forth. You want to be as flexible as possible, while not coming across as pushy. The key is finding a way to get your client to speak first, since information is king. Listen behind their words, to find what really matters to them. They’re usually saying a lot, so look for clues to find out what’s in it for them, the reason why they’re meeting with you and your product. Determine which obstacles, you need to overcome. Selling is similar to cracking a nut. You’re tempted to just get a hammer and shatter it into small pieces, but if you can find its sweet spot, it will then automatically open up clean. This is what sales is in a nutshell. You may have the greatest idea, product, or service that’s available, but if you’re not able to make a genuine connection, then it’s worthless. It doesn’t need to be a deep relationship, but there needs to be some type of mutual respect. The key to connecting with someone, is that you need to get your message across in a way so that it will resonate with them. If you did your homework, then you can push all the right buttons, while listening for feedback. Then you should understand exactly, what they’re looking for. This will give you an edge, on how you can overcome their concerns and objectives, while meeting their goals. The best way of communicating with them, is by presenting analogies and anecdotes, which cuts the ice. This since individuals are motivated by logic and factual information first, then are wanting to relate to you emotionally. So you need to feed their ego. People like to hear more about the benefits and the features of a product. The ideas, or the performance once they know the statistics. They’re wanting to hear about what it can do for them. So once you put forth your best effort covering all the steps, and they’re about to make a buying decision, it’s the emotional connection to the stories you told them, that they’ll remember. That’s the motivational button, which triggers the buying process. So there you are, sitting across from someone physically, but not mentally, because you’re not sitting on the same side with them. The sooner that you adopt this mindset, the more efficiently that you’ll begin closing more deals. The majority of those in sales, sees the selling process completely wrong. They don’t understand that they’re actually working for the customer, since it’s their job to understand and then serve to their needs. It’s your duty, to make the customer realize you’re there to help them. You’re there strictly to lead them towards achieving their goals, and not yours. Show them you’re willing to do whatever you can for them. Once your audience, your customer, realizes that you’ll jump through burning hoops for them, once they pick up this vibe, and the genuine desire you want to help make them become successful, that’s what gets the deal closed.